320GB HDD - plenty of space to store photos, music, ducuments,etc. Really smart looking, slim "Ultrabook" laptop. Good quality look and feel. These particular laptops are in excellent working order and reasonable cosmetic condition. They do have some scuffs on the lid and wear to the keyboard/mousepad but that has been reflected in the bargain price!!. As we have more than one, the photographs here are fully representative of the laptop you will receive. 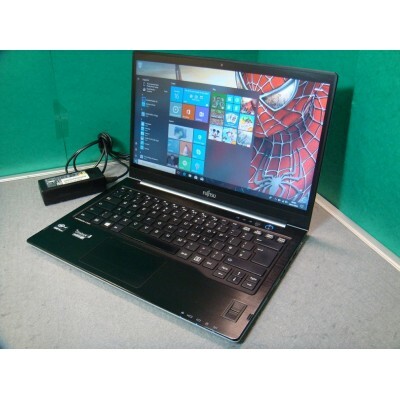 We supply this used laptop with a 90 day RTB (return to base) warranty. The warranty covers the hardware only, we do not warrant software or batteries. All laptops have been fully tested before being sent out. We check the batteries to work for a minimum of 30mins. If a problem does arise within the first 90 days, please contact us first by email or by phone, as most problems can be resolved this way. In the unlikely event that we are unable to fix the problem over the phone then the item can be returned to us for repair at your cost and we will return it at ours.